Learn how to create interactive layouts in Adobe InDesign and publish them to the iPad. 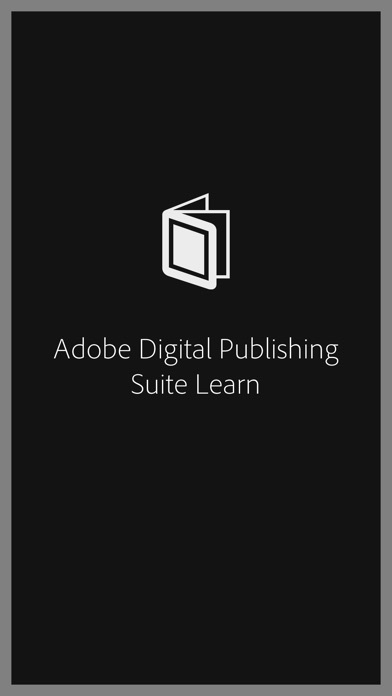 Digital publishing experts use real-world examples from professional publishers and easy-to-follow tutorials to show you how to create visually rich and engaging iPad apps with InDesign and the Adobe Digital Publishing Suite. There's nothing to compare to this. Sure, you can spend time on a tutorial site, and watch videos. But I like having a quick reference like this right on the platform that I'm developing for. The must have app is you are developing with InDesign. After spending a week using digital publishing suite unable to find documentation on how to do the things I wanted to do in a digital publication I came across this and it's filled in all the missing blanks to my questions on the capabilities of DPS. Why Adobe doesn't have this on their websites will never understand. This app is a must for anyone who is using DPS! Downloaded this as a resource/reference for a class I'm taking on Digital Publishing workflow. I'm on the first couple of pages and so far great examples and in-app demos of features while they are being explained. If you want to learn about Adobe DPS this is a must have learning tool. Works as advertised and a great source of information. I love it! A very useful resource. I'm just not sure if its my lack of understanding, or that some of the steps are missing in the guides. Noticed this especially in "advanced overlays". Excellent application !! I couldn't have made it better myself .